Veteran journalist Bob Woodward criticized reporters on the right and left alike who were becoming too emotionally invested in their coverage of Donald Trump, calling them "unhinged." "You’ve described the Trump presidency as being a "test" for the news media. Do you think the media is failing the test?" asked Newsweek. The former Washington Post reporter—now an associate editor—responded journalists could always do better, including himself, but that he thought the media had not "failed" to date. "But we have a lot of work to do," he continued. "A number of reporters have at times become emotionally unhinged about it all, one way or the other." "Look at MSNBC or Fox News, and you will see those continually either denigrating Trump or praising him. I think the answer is in the middle, and in this class I talk about how it’s important to get your personal politics out," Woodward went on. 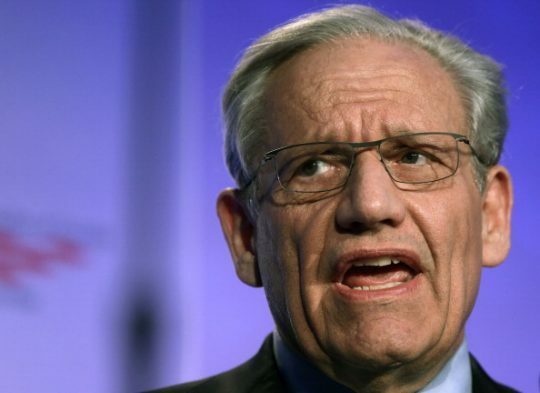 Woodward has leveled similar criticisms in the past, including during a January CNN hit alongside his former Watergate reporter Carl Bernstein. This entry was posted in Politics and tagged Bob Woodward. Bookmark the permalink.